THIS IS A WEB ORIENTED APPLICATION ALLOWS US TO ACCESS THE WHOLE INFORMATION ABOUT THE COLLEGE, STAFF, STUDENTS, FACULTIES ETC. THIS APPLICATION PROVIDES A VIRTUAL TOUR OF CAMPUS. HERE WE WILL GET THE LATEST INFORMATION ABOUT THE STUDENTS AND STAFF. THIS GENERIC APPLICATION DESIGNED FOR ASSISTING THE STUDENTS OF AN INSTITUTE REGARDING INFORMATION ON THE COURSES, SUBJECTS, CLASSES, ASSIGNMENTS, GRADES AND TIMETABLE. IT ALSO PROVIDES SUPPORT THAT A FACULTY CAN ALSO CHECK ABOUT HIS DAILY SCHEDULE, CAN UPLOAD ASSIGNMENTS, AND NOTICES TO THE STUDENTS. 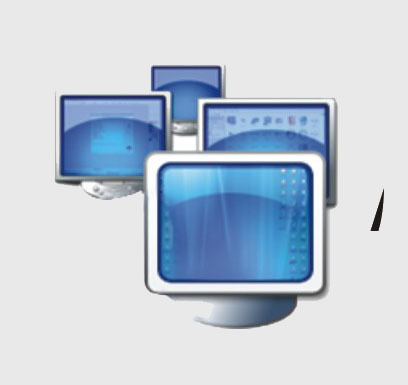 ‘APPS’ is a web portal which is designed and developed to run internal operations of an educational institute smoothly. It is a user friendly web application which fulfills the needs of every user. As everyone is connected with each other through internet, it plays an important role to convey the message to the concerned authority. The problem is to provide the complete information about the college. In which the college staff members, students and parents can access the information and will be familiar with college activities. It will provide interactive environment for the staff, students and parents by getting information about student attendance, remarks, exams performances, grades, timetables, notices etc. ‘APPS’ is a web oriented application allows us to access the whole information about the college, staff, students, faculties etc. This application provides a virtual tour of Campus. Here we will get the latest information about the students and staffs. This generic application designed for assisting the students of an institute regarding information on the courses, subjects, classes, assignments, grades and timetable. It also provides support that a faculty can also check about his daily schedule, can upload assignments, and notices to the students. Today in colleges student details are entered manually. The student details in separate records are tedious task. Referring to all these records and updating is needed. There is a chance for more manual errors. i. It was limited to a single system. ii. It was less user-friendly. iv. It requires more no of employees need to work. It was time consuming process. v.	The present system was very less secure. vi. It is unable to generate different kinds of report. i. 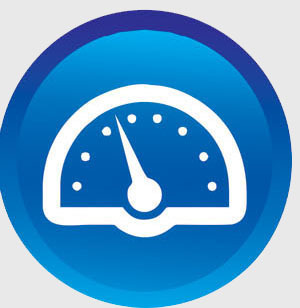 User friendliness will be provided in the application with various controls. ii. The system makes the overall project management much easier and flexible. iii. It can be accessed over the Internet. iv. 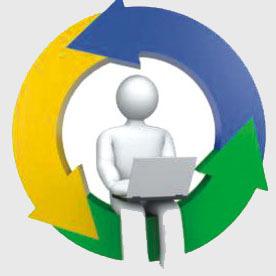 Various classes have been used to provide file upload and mail features. v. There is no risk of data mismanagement at any level while the project development is under process. vi. It provides high level of security using different protocols like https etc. 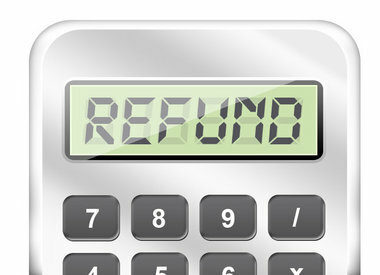 Withdrawal Refund As during admissions various students withdraw from the programme and their paid amount is to be refund and in the same during course admission caution money is deposited by students as security so after the course is over this money is to be refunded to students. So for this purpose to make this refund process easy students may submit their online NEFT Transfer details so that amount could be refunded easily. Caution Money Refund CMS helps you out a lot in this factor with ease of work. An institute takes different types of fees (Fee Heads) e.g. Tuition Fees, Campus Development Fees, Activity Fees etc... Along with the fees, institute takes some sort of Deposit Amount from the student as a security deposit which is refunded at the completion of the course. Student Dashboard In Student Information Record System, details are captured on student profile; Address, Contact numbers, email ids, recent photograph / past academic records are maintained. Other modules like Fees, Library, Hostel, Attendance, Exam, Result are integrated with Admission module. Student Online Leave Leave records can be managed in a systematic way. Right from leave application till its approval/rejection, is completely managed online. Regularly it gets updated as and when the leave application is approved by the authorized person. 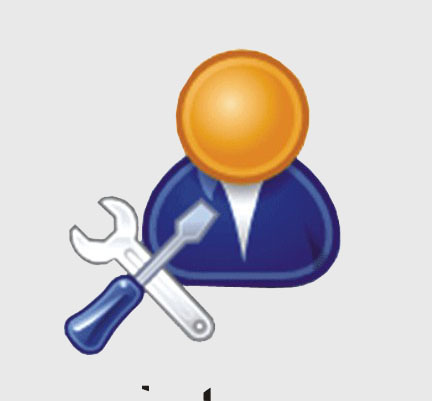 Admin settings are provided for different leave like ML, DL, PL, EL, Placement leave etc. Thus students leave record can be easily tracked. Staff Onine Leave CMS provides a powerful solution to maintain the attendance of the employee of the organization including Academic Staff, Administrative Staff and Other Staff. 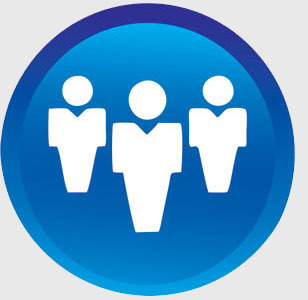 The Attendance Module will provide you a systematic way of management for the attendance of your employees. 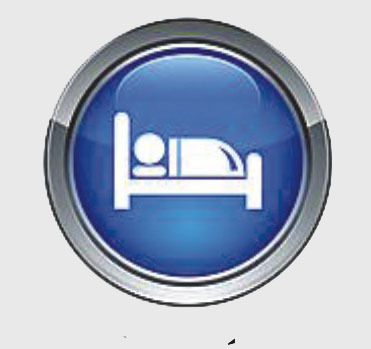 For staff members CMS will calculate the working-hours. Administration In the existing system, organization can't judge the routine activities gone through by employees. Employee’s current status is also not known to organization. Thus organization can't filter out the weak/strong employees. At last the organization due to all this gets affected in teaching department or students get affected in gaining knowledge. Online Recruitment Portal In HR dept. it takes a lot of time during feeding of data from application form to excel sheet to shortlist suitable applicants for the post who fulfill the criteria. This system removes this kind of problem and complete MIS is obtained automatically as the applicant fill the online application form. 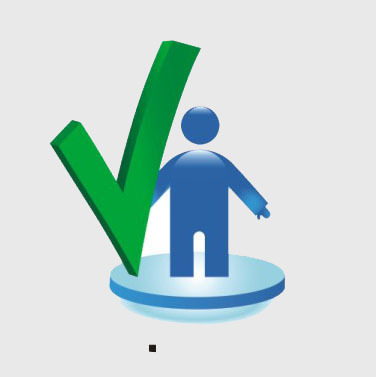 System will automatically provide the applicant list after screening. Personnel Office Records Personal management is used for maintaining your personal records like leave maintenance, schedule, storage, profile, address book, emails etc...It also keeps paper-less, effortless, costless, tracking in systematic way, less mental exercise. Hostel Management This system may be used to manage student accommodations, Room management which includes for checking out empty and allocated rooms, Register can be generated of all student records, Hostel infrastructure with different statistical report to make judgment like in which floor max students are there. 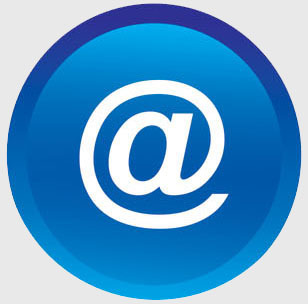 Bulk Emails System Useful for sending emails in bulk and also single. Students can get alert through the mails. Any kind of notice / event scheduler or any new schedule for lecture decided can be known through mail.Even mass mailing can be done to all employees for their routine up to date and to remain active in academic environment. 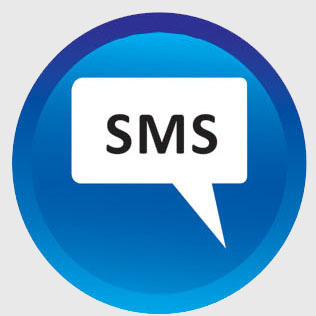 Bulk SMS Sytem This system enables sending SMS in bulk and single.This is useful for parent communication. They get updated regularly with student marks, attendance percentage and other activities.Students through SMS can get notices, alert for upcoming events, attendance percentage, admission notice, academic projects/submission related notices. Faculty Feedback Manually Feedback compilation is very tedious process. It consumes a lot of time and man power too. 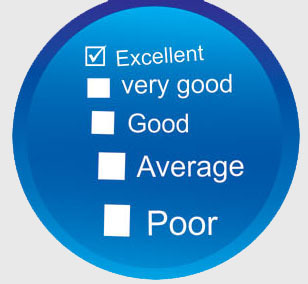 As user has to feed student feedback data into excel sheet one by one. But online feedback system eradicates this problem as the student submits form MIS is automatically available for each and every student. 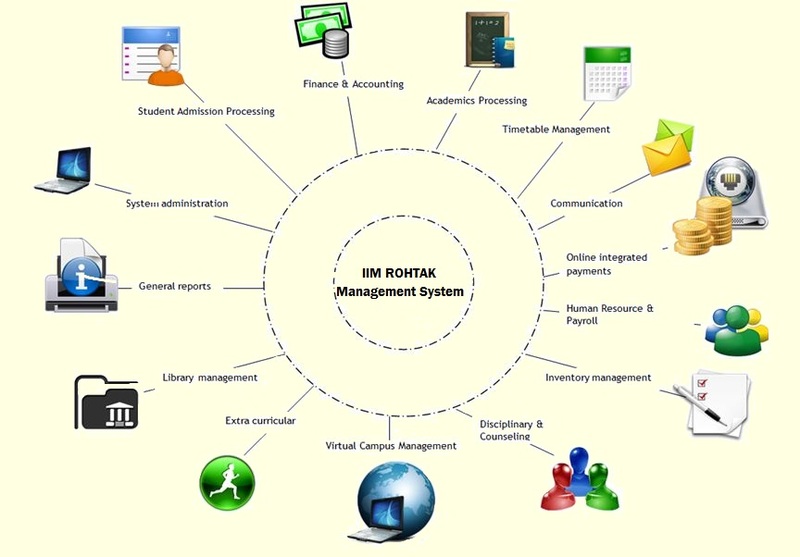 Course Management All academic management modules of CMS are integrated and interlinked.. Further the presentations or other material used in the class can be shared with the students through student-login of CMS which will create an e-Learning Resource Center. TimeTable With CMS's Time-Table Module you can easily set particular lecture for a particular day. 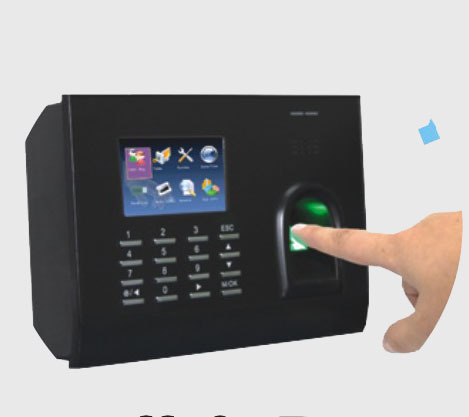 Since time-table is completely integrated with attendance system, you are not required to separately maintain a time-table for your attendance system. Student Management CMS maintain student life-cycle for their entire academic curriculum. This module is used for complete student record keeping right from their admission till placement. Each activity of the student is recorded in CMS Database. 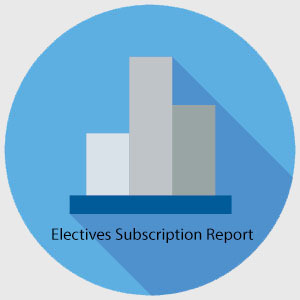 Online Electives System In PGP Course, during second year PGP Office performs complete process of electives floating manually and this process takes a lot of time to complete .But Online Elective Floating system eradicates these kind of problems. Online Term Registration As in IIM system for PGP Course students have to register themselves term wise and fees are paid for particular term. This is very tedious process and requires man power for registration. This system removes this problem as student registers himself and fee will be confirmed first then only registration will be over. This system also helps in generating the consolidated grade sheet as students takes different subjects in IInd year and using other modules data such as exam module for getting student grades etc. Leave Rocord/Report System Current management have a lot of problems such as paper-costing, complete manual maintaining leave records of all employees and updating too which can create calculations problem.With CMS, Leave records can be managed in a systematic way. Right from leave application till its approval/rejection, is completely managed online. Regularly it gets updated as and when the leave application is approved by the authorized person. Online Certificate Generation Institute need to maintain each and every record of student during the course. 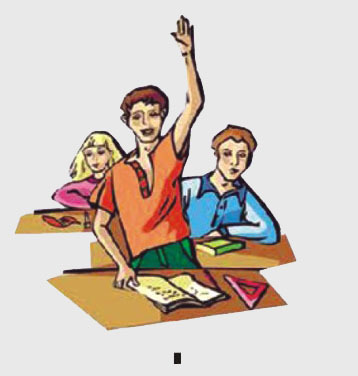 During the study, student asks for various certificates as an Identity Proof or Authentication. Once student is enrolled in the institute CMS will start keeping track of each certificate given to the student. 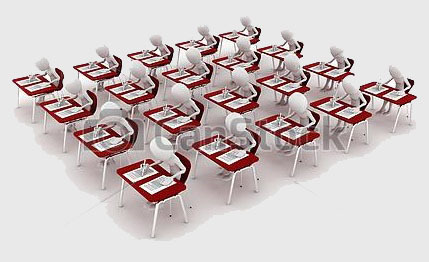 Examination Seating Arrangement System CMS provides you an easy to use interface to manage your part of examination in your institution. Taking attendance of the students during examination. 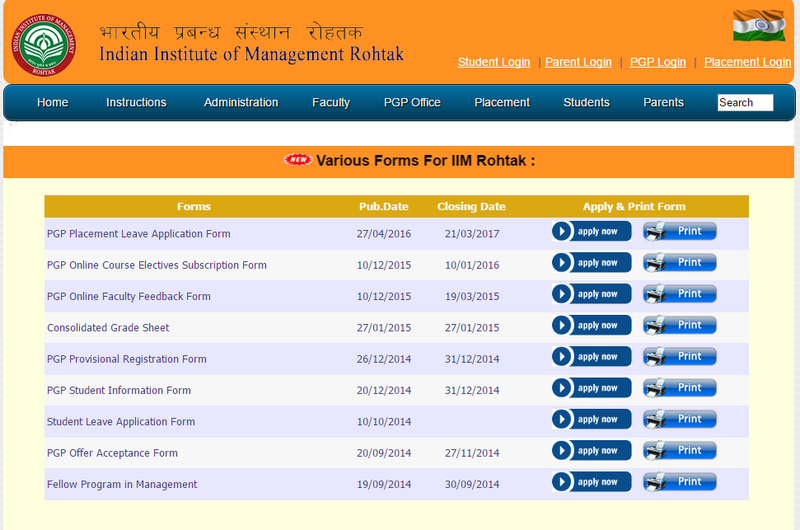 These activities are integrated in the interface of the institute in CMS. In addition to all above year/Term ending activities, you will be able to perform following activities throughout the year. Online Gradesheet Generation Diploma and degree certificates can easily be generated with unique number auto generated of each certificate. So university/organization can keep record of certificates generated and issued. Admin have the authority to decide who should be issued the certificate when any special cases of copy-case or withheld happens.System will check all conditions for pass and fail and then generate the certificate number for pass students. Onine Admissions for PGP & FPM Programmes Admission Management module of CMS software is used for managing the admission process. At the time of admissions, online admission system collectes complete student information that is entered into CMS software to make it available whenever it is needed. Assets Management Store management is engaged in multiple processes like maintaining profit and loss register, alert for out-of stock materials, damage material etc. Doing complete store management process manually needs lots of mental exercise. 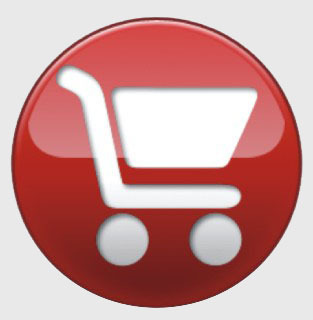 Stores Management Purchase management is used to maintain complete record of products purchased. Their billing and challan management. Products list and the reports for the same are managed. Damaged product, alert of the products which are in regular use, etc. are managed in the system.